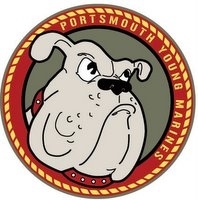 The Portsmouth Young Marines unit embarked on this adventure in July of 2006. The unit usually holds drills at the Portsmouth Naval ShipYard on the first and third Wednesday of the month from 1800 - 2100 and the last Saturday of the month from 0800 - 1500. We received our charter in April of 2007 and we started to take on recruits. Our first recruit training class graduated in June 2007. We are a very active unit. The unit typically goes off base every month with field exercises and leadership training. The Portsmouth Young Marines interact with other units in New England at battalion and regimental encampments and training courses. If you think you have what it takes, you will meet Young Marines from all over New England. You even have the opportunity to meet youth in similar programs from all over the world if you are selected for the Foreign Exchange program. Young Marine Fact Sheet is here. Subscribe to our Group messages.